Kansas offers aspiring communication experts seven schools that offer master's level communication programs. With primarily on-campus offerings, Kansas' master's in communication programs prepare students for challenging careers in the healthcare, government, agriculture, information systems or financial services industries, which are among the top employers in the state of Kansas. Master's in communication programs are available in every corner of the state, from Wichita to Topeka and Overland Park to Lawrence, making it easier than ever to earn a master's degree in the Sunflower State. Fort Hays State University offers an on campus Master of Science in Communication Studies degree in Hays. What to Know: The Master of Science in Communication Studies program allows students to choose an emphasis from the following options: Organizational Communication or General Communication. The program culminates in either a research-based project or a graduate thesis. What Does It Cost? 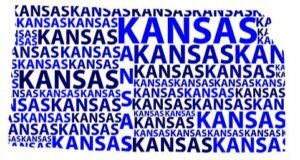 : Graduate level tuition for the 2018-2019 academic year for Kansas residents is $237 per credit hour, $336 per credit hour for residents of contiguous states, and $605 per credit hour for non-residents of other states. Anything Else? : Applications for the master's program are reviewed on a rolling basis, with students entering the program in the fall or spring semester. Kansas State University in Manhattan offers three options for master's-level communication degrees, all offered in a traditional on campus format with some online and hybrid courses available. What to Know: The A.Q. Miller School of Journalism and Mass Communications offers a Master of Science in Journalism & Mass Communication in which students can focus in the fields of strategic communications, health and science communication, community media or digital news. The Master of Arts in Communication Studies program is primarily a classroom program with some online and hybrid courses available, and aims to prepare students for teaching, coaching and further doctoral or professional education. The Master of Science in Agricultural Education and Communication program is available to both part-time and full-time students and is available as a distance learning program or a hybrid of both online and on campus coursework. What Does It Cost? : Graduate level tuition and fees for the 2017-2018 academic year was estimated at $6,424 per semester for Kansas residents and $12,924 per semester for non-residents. These tuition costs do not include books or other supplies. Anything Else? : The application deadline for the Master of Art in Communication Studies program is February 6 for admission to the fall semester. The application deadlines for the M.S. in Agricultural Education and Communication program is September 1 for spring admission, February 1 for summer admission and February 1 for fall admission. Applications for the M.S. in Journalism & Mass Communication are reviewed on a rolling basis. Pittsburg State University offers a Master of Arts in Communication degree as an on-campus program in Pittsburg. What to Know: The Master of Arts in Communication program allows students to work with an advisor to tailor their program to their personal career goals, selecting from coursework in advertising, broadcasting, journalism, international communication, theatre production and performance, public relations, organizational communication and interpersonal communication. What Does It Cost? : Graduate level tuition and fees for the 2018-2019 academic year is $8,164 for Kansas residents and $18,804 for non-residents. Anything Else? : The application deadline for admission in the fall is July 15, December 15 for the spring and May 15 for the summer semester. The University of Kansas in Edwards offers an on campus Master of Arts in Communications graduate program as well as a Master of Science degree in Integrated Marketing Communication. What to Know: The Master of Arts in Communication degree is a 10-course program that focuses on organizational communication that integrates theory, research and practice into its curriculum. The Integrated Marketing Communication program is designed for part-time evening study and is open to applicants who have at least two years of professional working experience in communication-related fields. What Does It Cost? : The cost for the Master of Arts in Communication program for the 2018-2019 academic year is $521 per credit hour for Kansas residents and residents of 11 nearby Missouri counties, and $1,063 per credit hour for non-residents. The cost for the Master of Science in Integrated Marketing Communication program for the 2018-2019 academic year is $543 per credit hour for Kansas residents and residents of 11 nearby Missouri counties, and $1,085 per credit hour for non-residents. Anything Else? : The application deadline for admission in the fall is June 1, November 1 for the spring and February 1 for the summer. The University of Kansas in Lawrence offers an on campus Master of Arts in Communication Studies program. What to Know: The Master of Arts in Communication Studies program on the Lawrence campus is designed as a two-year program in either Relationships & Social Interaction or Rhetoric & Political Communication. What Does It Cost? : Graduate level tuition for the 2018-2019 academic year is $419 per credit hour for Kansas residents and $976 per credit hour for non-residents. Tuition charges include technology and infrastructure fees. Anything Else? : Applications for the graduate program should be submitted as early as possible for consideration and by May 5 for the fall, November 15 for the spring and April 15 for the summer. Wichita State University offers a Master of Arts in Communication in a traditional on campus format. What to Know: The Master of Arts in Communication is a 36-course hour program in which students complete 15 course hours of communication core courses and then 21 course hours tailored to their individual career goals. What Does It Cost? : Graduate level tuition for the 2018-2019 academic year is $294 per credit hour for Kansas residents and $723 per credit hour for non-residents. These tuition costs do not include additional university fees or the cost of books and supplies. Anything Else? : The application deadline for admission to the fall semester is August 15 and December 1 for the spring semester. Kansas State University offers one of their master's programs, the Master of Science in Agricultural Education and Communication, as a distance learning program in addition to a traditional classroom format. Learn more about Kansas State University's online program option here. Washburn University based in Topeka offers an online Master of Arts in Communication and Leadership. What to Know: The Master of Arts in Communication and Leadership program is a 30-credit hour program that is designed for working professionals and is delivered entirely online. What Does It Cost? : Online graduate level tuition for the 2018-2019 academic year is $493 per credit hour for both Kansas residents and non-residents.